Police on Sunday were pursuing a car reported stolen earlier that afternoon from a pizza delivery driver. Police say three people jumped out of the car as it moved across a roadway, and one of them was fatally struck by a pursuing officer's cruiser. PIMLICO, Md. 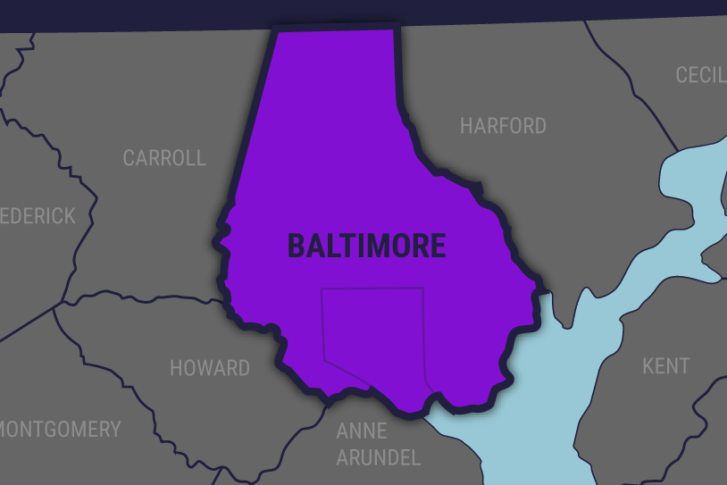 (AP) — Baltimore County police say an officer has hit and killed a suspect fleeing a stolen car. Spokesman Cpl. Shawn Vinson tells news outlets that county police on Sunday were pursuing a car reported stolen earlier that afternoon from a pizza delivery driver. Police say three people jumped out of the car as it moved across a roadway, and one of them was fatally struck by a pursuing officer’s cruiser. Vinson says that person was pinned underneath the cruiser. Authorities didn’t immediately release the suspect’s identity, but say the suspect may be a juvenile. Another suspect was arrested and a third suspect evaded police. No officers were injured. Vinson says the officer wasn’t placed on leave and it’s unclear if the officer’s body camera recorded the crash. City police are investigating.